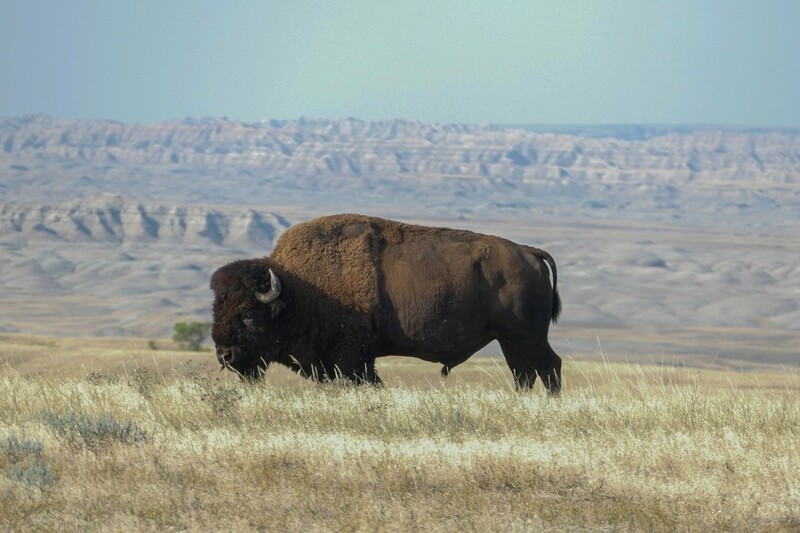 An original icon of the Great Plains, the American bison is a massive mammal that can be found again in many different geographic areas of the Midwest. Thanks to years of conservation efforts, these animals are now thriving on the lands where they once lived prior to being decimated by overhunting. 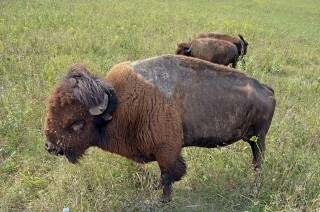 I recently got to see these enormous beasts in the wild for the first time at Badlands National Park in South Dakota. 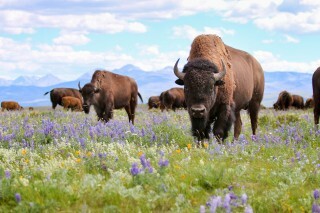 After arriving in the dark the previous night, I woke up to find many bison grazing in the fields near my tent. I kept a reasonable distance from them, and zoomed in with my camera to snap some pictures. It was amazing how they accepted my presence. 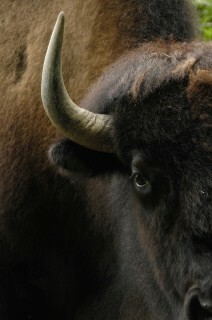 One bison wandered right into the middle of the campground. It is great to see all the work that conservationists have done over the years has paid off, and that we can find places where our national mammal is flourishing.